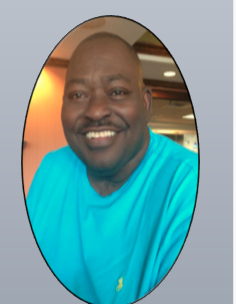 Obituary for Benjamin Bernard Jordan | Mack Eppinger & Sons Funeral Service, Inc.
Mr. Benjamin Bernard Jordan, 55 of Marietta, Georgia passed away on Sunday, March 31, 2019 surrounded by his loving family. Funeral service will be held on Saturday, April 6, 2019 at 1:00pm at Thankful Baptist Church of Kennesaw, 928 Kennesaw Due West Road NW, Kennesaw, Georgia 30152. The body will lie in state in the church from 12:00pm (noon) - 1:00pm until the hour of service in order for the family to receive friends. Benjamin Bernard Jordan was born on July 28, 1963 in Macon, Georgia to the late John Jordan and the late Ann Edwards Jordan. Ben, as he was affectionately known , was a graduate of North Fulton High School. He also went on to attend Fort Valley State University. Ben went on to work for Parker Hanifin for 18 years before starting his own business, Jordan's Commercial Cleaning Services in 2002. Ben was one of the founding members of Thankful Baptist Church of Kennesaw where he served as Vice Chair of the Deacons Ministry. He was former Chairman of the Benevolent Ministry, and a mentor to the youth and the community at large. Ben was a loving and devoted husband, caring and compassionate father, dependable brother, trustworthy friend, and a dedicated servant of God. He loved his family, his friends and church friends. Ben was preceded in death by his sister, Sheila Jordan Swain. He leaves behind a cherished wife, Millicent Jordan; daughter, Zaneta Jordan; brother, Kenneth (Portia) Jordan and a host of nieces, nephews, relatives and friends.